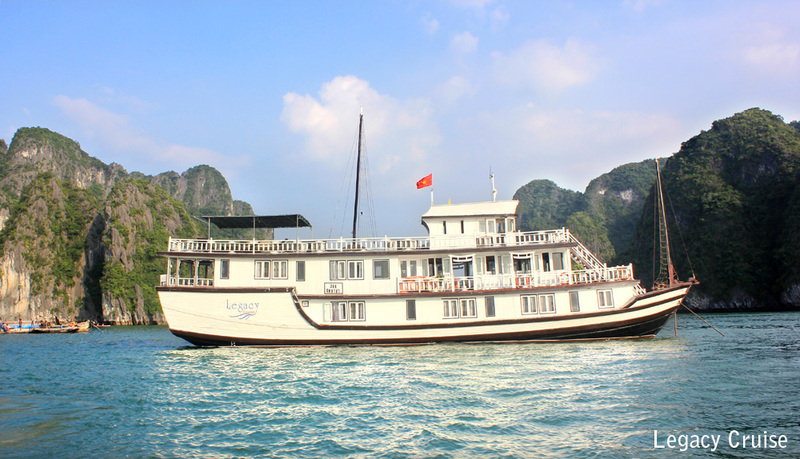 Q- How long does it takes from Hanoi to Halong bay ? A- It takes 3 hours to get Halong city from Hanoi , one stopover. Q- Does the boat rock or shake during the night? A- No. 1600 islands provide natural shelter in Halong bay, so its quite calm. Q- Does the tour go to Cat Ba Island? 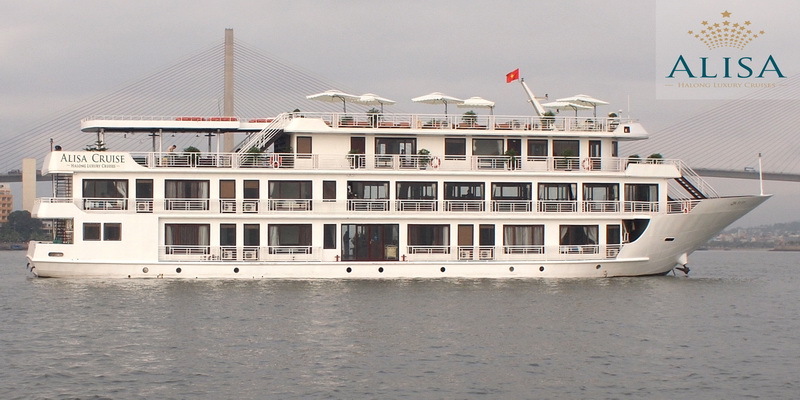 A- During the 2 days tour you ll cruise along part of Cat Ba Island, but there is not stop. The only stop to Cat Ba Island is for trekking in the National Park on the 3 days tour. Price tour can be arranged as your request. Q- Where do I sleep on the boat? A- All the junks we provide has equipped cabins with en-suite bathroom and Fan or air-condition . Q- Where does the tour depart from and return to? A- All of our Halong Bay tours Depart from our office 66 Hang Tha st and 87 Hoang Quoc Viet st or pick up from your hotels as your request. Q- Can I sleep on the deck? Are there mosquito nets on the deck? A- Yes, you can sleep on the upper deck if you wish, there are comfortable lounge chairs there. There are no mosquito nets available on the deck. Q- Are there lifejackets onboard? Will they fit children? A- The Junk is fully equipped with all the latest safety gear and each cabin has lifejackets. There are also life buoys suitable for children. Q- Will you take us to places that other don't go to? A- The Amazing Cave is a very touristy place. The rest of the trip we try to avoid other boats but at night we have to sleep in the same vicinity as a few other boats due to security regulations in the bay. The “Amazing Cave” is a very touristy place. The rest of the trip we try to avoid other boats but at night we have to sleep in the same vicinity as a few other boats due to security regulations in the bay.